This is owned by Sir Robert Winston of Mori Poll fame and he invited me to visit his castle a couple of years ago, below are a few of the photos that I took. Oh and yes it is haunted, hence why he asked me to visit. 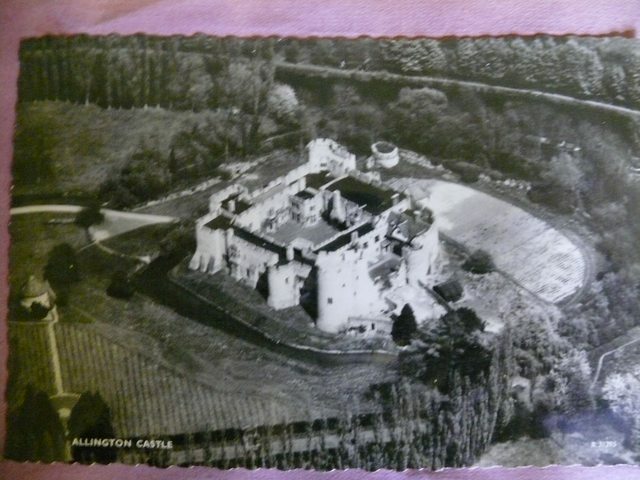 I grew up in Allington, and remember being shown around the castle when still publicly open. As a child, I specifically remember being shown the ring on the floor where they tethered dancing bears, and being told there was a ghost! I remember visiting when I was a youngster a very beautiful place . Twenty centuries by the Medway. Allington. It lies in the middle of the garden of Kent, two miles from Maidstone; we come upon Allington Castle as the background of perhaps the loveliest piece of Kent’s great river. Allington is the point where the Medway ceases to be tidal, and its electrical sluice gates (30 feet wide and 15 deep) are the vital part of the flood control scheme of the Medway Valley. The sluices can discharge 3000 million gallons a day and are worked by a switch. If the barges are through the locks and are sailing by, with their red sails outspread, we look on a scene of unforgettable beauty, the river running between green banks, past the castle walls, to be lost among the trees. It may have been on barges sailing here that the Normans took their stone for the Tower of London and the romans for their London Wall, for it is thought the stone may have come from the quarries still working here. We cross the locks, walk a little way down a lane, peep at the tiny church with its ancient porch and its Jacobean font, and find ourselves before one of the seven chief castles of Kent. Is any one of the other six quite so enchanting? Certainly none has its roots more deeply set in far-off time. Time has swung its pendulum here for twenty centuries. The ancient Britons, the conquering Romans, the Saxons and the Normans and the Tudors – all came here. All loved this beautiful place and left their mark upon this scene. The ancient Britons set up a moated village here. The Romans built a villa. The Saxons raised a stronghold on the moated mound. The Normans built a manor house and replaced the Saxon palisading with a wall that still remains, a link with the grandson of the Conqueror. It is thought this wall may be the work of Gundulph, who built the Tower of London for the Conqueror. In the 13th century the manor house was turned into a castle again, and the 16th century found it once more a ruin. Certain it seems to be from that scaffold. Anne Boleyn sent him a jewel by his sister Mary. Here grew up the poet’s rebel son, who plotted with the father of Lady Jane Grey and lost his head on Tower Hill when he was 24. Such memories have these walls. We found here the commanding figure of Lord Conway, visible through the battlements of the roof, directing the men he had been directing here for a quarter of a century. He found Allington a roofless ruin and made it one of England’s noblest homes. The Great Hall is restored, and the long gallery, and the rooms in which Henry the eighth and Cardinal Wolsey slept. The water is in the moat, the tiltyard is made visible again, the yew hedges are a wondrous sight to see, the lavender walks are like a dream, and when the bulbs are out the lawns are a sight hardly to be surpassed in Kent. If Kent is the Garden of England, Allington is like an English rose set in the midst of it. A cat and many kittens were playing in the lovely courtyard at Allington when we called, as if to carry on the old tradition of the rebuilder of the castle, Sir Henry Wyatt. When Richard Crookback seized the throne and sent the boy princes to the Tower to be murdered, Sir Henry Wyatt was one of the brave band who resisted the claims of this self-appointed king, and for his daring he was imprisoned in the Tower, where he was left to starve. One day Sir Henry noticed a cat on the ledge outside the grating of his window, and, reaching out his hand, drew it into the dungeon. The cat had in its mouth a pigeon he had captured. The prisoner made a great fuss of his visitor, which became friendly and returned to the window ledge again and again with a pigeon, which he shared with his new master. After his release Sir Henry Wyatt, it is recorded, would ever make much of cats, as other men will of their spaniels or hounds. Allington is the cradle of the Sonnet, which was popularised in English by Sir Thomas Wyatt, whose son, in Tennyson’s picture of his end on Tower Hill, remembers his father’s greatness. The Sonnet comes into English literature. It was Sir Henry Wyatt’s son, the first of the two Sir Thomas Wyatts and Anne Boleyn’s lover, who is of account in our intellectual history. It was Sir Thomas the elder who fashioned the bridge which led poetry out of medievalism into the modern world of thought, away from the stately severity of Dante’s ideal of poetry as musical rhetoric to the bright and singing glory it reached in Shakespeare. There might have been no Shakespeare Sonnets had not Thomas Wyatt first adopted the English form of this inestimable 14-line poem, bringing the style from Italy. In the silence of his chamber at Allington he poured out his thoughts and feelings in sonnet and lyric, singing, not for publication but quietly to himself, because he must. Not until 15 years after his death did his compositions see the light, when they were issued, with sonnets and other poems by the Earl of Surrey, who is commonly accounted jointly responsible with Wyatt for the sonnet. But Sir Thomas Wyatt was the indisputable father of the English sonnet, and Allington was its cradle. Next came Sir Thomas Wyatt the younger, with some touch of his father’s poetic force and more than his martial ardour. Yet he, too, was torn between contemplation and action, between love of the muse and the call of what he considered national duty, bidding him strike to prevent the marriage of Mary to Phillip and the handing over of England to Spain. Tennyson, who used to live within an easy walk of the old home of the Wyatts, turns this mental conflict to account in his drama of Queen Mary. The dramas of Tennyson are dead, but this scene at Allington, in which the younger Wyatt is summoned to lead the men of Kent against the royalist supporters of the Spanish marriage, will always afford delight. The scene is laid in the castle, William entering to tell his master that the bells of Maidstone are ringing. Perhaps it is for a saint’s day, Wyatt answers, although he knows that the bells are chiming a song of insurrection. What, then? Like loosely scattered jewels, in fair order. Sir Thomas calls for the casket containing the sonnets, and 31 were found for publication afterwards, the first ever written in the English tongue. Wyatt muses as he reads, and then he writes a sonnet of his own, a pious testament to accompany his father’s works, which he feels cast for immortality; he himself may never write another, never again rest in the room in which the poems lie. William bursts in afresh, excited beyond control. There is news, there is news, and no call for sonnets now; but ten thousand men on Penenden Heath all calling Wyatt into Maidstone Market, to be the first man in Kent and Christendom, “for the Queen’s down, and the world’s up, and your worship a-top of it,” said William. His own poem he tears to shreds, for that he can carry in his head. “If you can carry that head upon your shoulders,” prophetically says his friend. How soon that head, bereft of sonnet and senses, was to be nailed as high as Haman hanged, and the limbs of the dismembered body distributed upon the gibbets of London, is part of the fearful history of that tragic era. 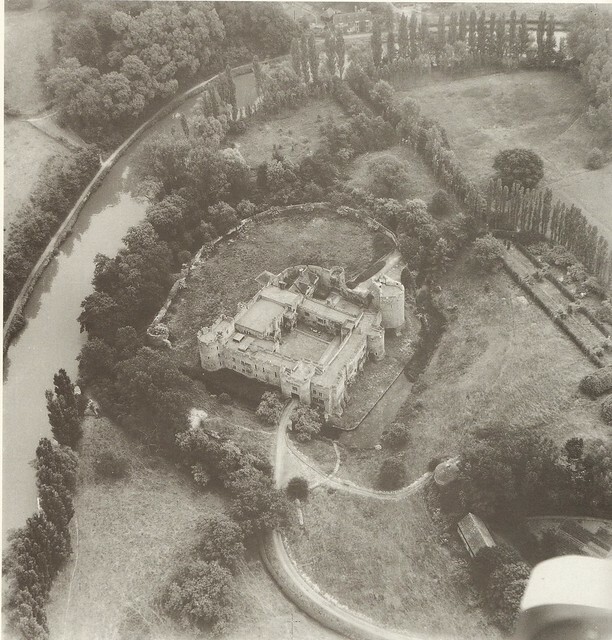 Aerial view of the castle from June 1949. 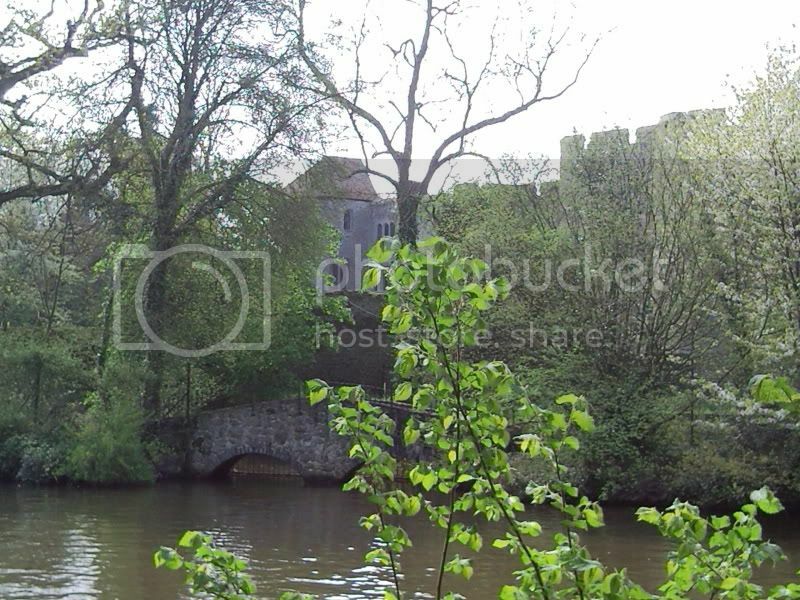 I have many happy memories of Allington Castle when it was open to the public on Sunday afternoons. So it is now owned by Sir Robert Worcester. Would this be the same Bob Worcester of Mori polls fame? If so he's done well. 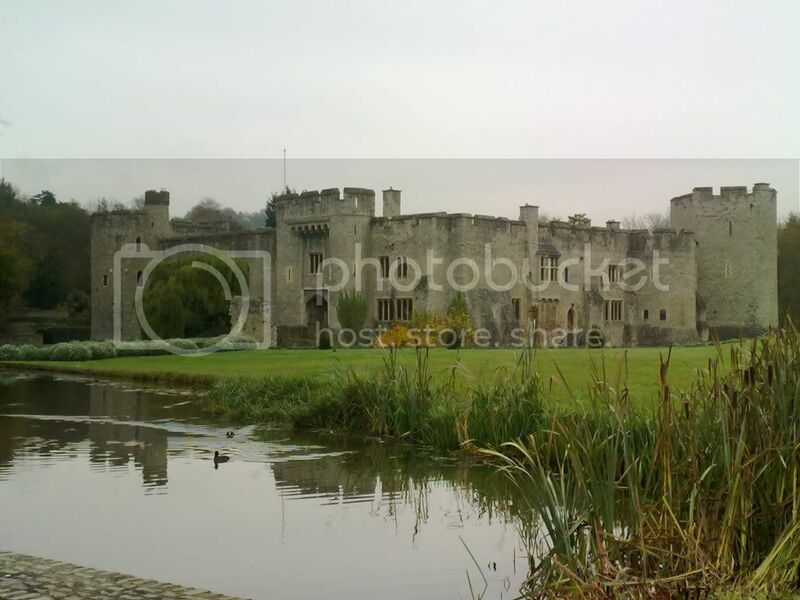 Until recently moving to Maidstone I didn`t even know that Allington Castle existed until I had to make a delivery there. I had to enter the site via a side access gate as my lorry was too big to pass through the archway entrance at the front gate. I got talking to the estate manager and he was kind enough to take me on a walk around to the front of the castle to let me see what it looked like. He gave me a brief talk on some of its history. The place is truly lovely and very picturesque. I took this photo on my mobile so the quality isn`t all that good but thought it was a great picture to share with you all. I remember this Castle well as a friend of mine was there as a Carmelite monk for a while before he left the order and went to work for Elliot Automation in Rochester. John Lofthouse (the real Clithero kid who started a mushroom farm in the cellar of his local pub in Clithero, it lasted not too long as the smell of horse manure drove the customers away), stayed living there whilst he worked for Elliots for quite some time in the late 60s. The castle is not open to the public it is currently owned by Sir Robert Worcester but was previously owned by the order of the Carmelites. It was the birth place of Thomas Wyatt the younger who was later imprisoned in the Tower of London for breaking windows in London. His mother nearly became Henry VIII`s 6th wife even though she was married to Thomas Wyatt senior who was previously in love with Anne Boleyn. On his release, Wyatt junior joined the English troops fighting in Flanders. The following year was at the siege of Boulogne. 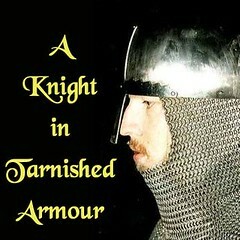 He was knighted in 1547. He then joined the Duke of Northumberland's abortive attempt to put Lady Jane Grey on the throne in place of Mary I.
Wyatt escaped punishment by Queen Mary. He took no further part in politics until Mary's bethrothal to Philip of Spain. In 1554 he joined a conspiracy to prevent the marriage. But his fellow-conspirators were timid and inept. The rising was serious only in Kent, and Wyatt became a formidable rebel mostly by accident. Wyatt proclaimed his rebellion on 26 January in Rochester. Many of the country folk responded. The royal forces sent against him deserted or joined him. With 4,000 men Wyatt marched on London, but was turned back at London Bridge and Ludgate. His men deserted and he surrendered. He was executed for treason on 11 April. After he was beheaded, his body was quartered.